Matching up with the ever increasing requirements of the customers, we are engaged in providing Puy Lentils. Acclaimed for high protein and famous dietary supplement, Organic Pulses are offered in a comprehensive array. In compliance with the industrial schedules, these are quality assured and are packed in premium quality and durable packet, to have safe deliveries. Cee Pee Impex Pvt. Ltd.
We are manufacturers of entire range of certified organic pulses in name of brand "organic health"
Organic pulses are most important food crops due to their high protein and essential amino acids content. 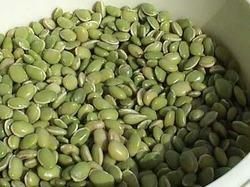 They also contain folate, vitamin B1, minerals, zinc and Lentils.